1. Can Rendon stay hot? 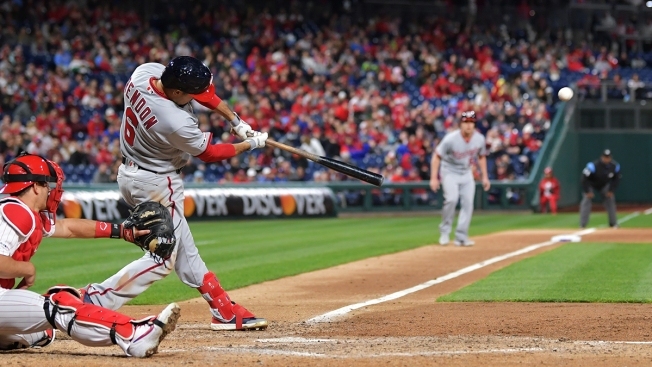 Anthony Rendon is off to a blistering start to the 2019 season, currently on a 10-game hitting streak and leading the National League with a .429 batting average. He's flexed his power during this stretch, too, hitting four home runs, seven doubles and driving in 14 runs. Pirates pitchers currently have the fifth lowest combined ERA in baseball (2.84), so expect Pittsburgh to challenge Rendon this weekend. 3. Bullpen finally finding its form? Much criticized to start the season, the Nats bullpen pitched quite well during the series against the Phillies earlier this week. Despite facing the MLB's most exposed bullpen setting at Citizens Bank Park, Washington relievers gave up just two runs total over the three-game set; Trevor Rosenthal even recorded his first out of the year. But was it just momentary success, or something that will continue over the next few weeks and months? Only time will tell.